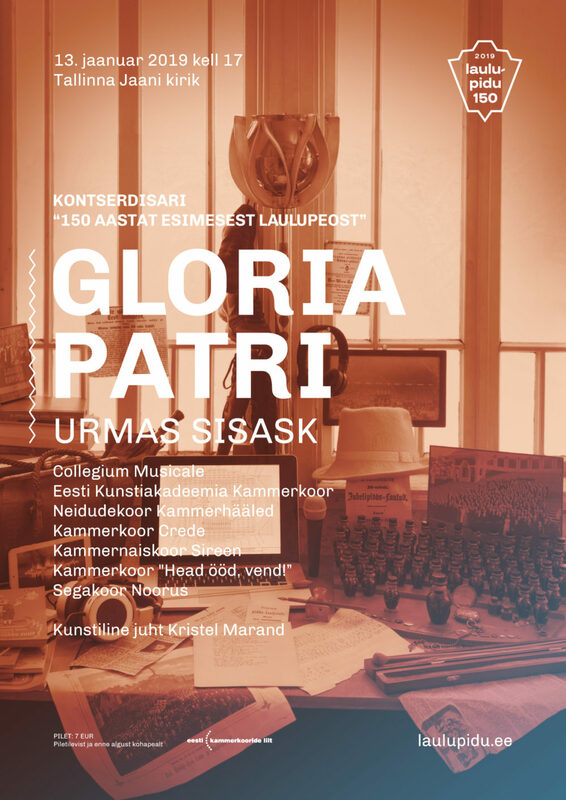 13 January Urmas Sisask "Gloria Patri"
On 13 January the opening concert of the serie “150 years of the first Estonian Song Festival” takes place in Tallinn St John’s Church. In the program parts of Urmas Sisask choral work “Gloria Patri” will be performed. Concert starts at 17.00 and the tickets are available in Piletilevi and before the concert in the church. Concert is organized by Estonian Chamber Choir Association. Artistic director is Kristel Marand.